You are at:Home»Posts Tagged "“Hayao Miyazaki”"
Today in Blu-ray, Spirited Away is what you need. Don’t argue. Three from Ghibli: Pom Poko, Tales From Earthsea and Porco Rosso are the biggies today, but don’t pass up John Wick. 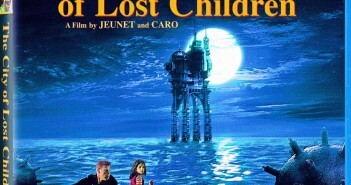 Blu-ray Today: Miyazaki, Romero, Koenig, Campbell…Thomerson? Three Miyazaki movies, two lesser Romeros, and the Sin City sequel nobody seemed to want but me. Only so many can fit into their catbus, though, so if you want it, reserve quickly. A shirt you’ll stare at even more than the model wearing it. I’m guessing the real reason Hayao Miyazaki retired is that he heard about this and plans never to leave the house again.